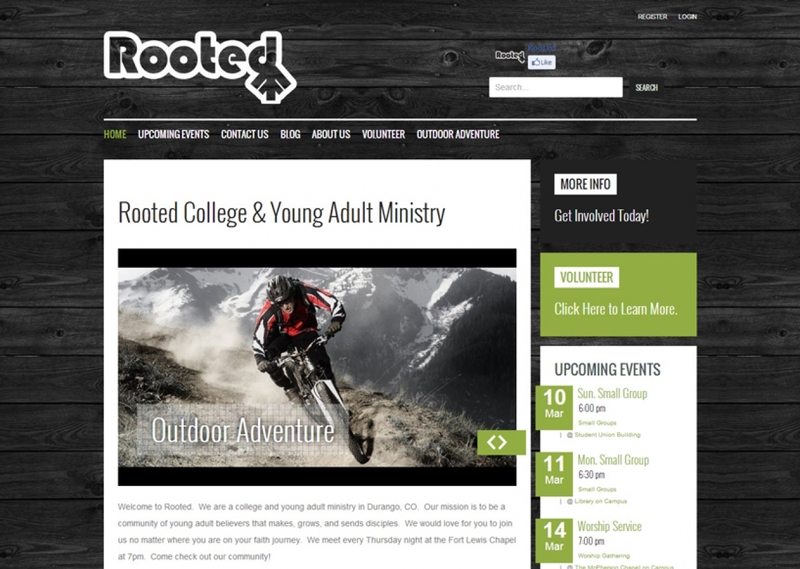 Young adult and college ministry website. Outdoorsy feel built just for young adults. Features a K2 blog, contact forms, and a beautiful design.